The Borough of Pottstown continues to polish its image as a tourism destination, with an up-and-coming dining scene and increased initiatives for families. At holiday time, it's especially inviting. 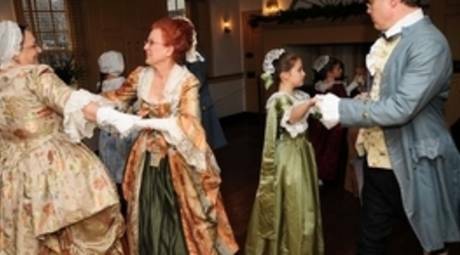 The hallways and stairwells of the former Potts mansion are lined with holly and greens, marking a Colonial Yuletide that is deeply rooted in English traditions. The December 13 tour is by candlelight. Two themed runs make for plenty of choo-choo cheer. 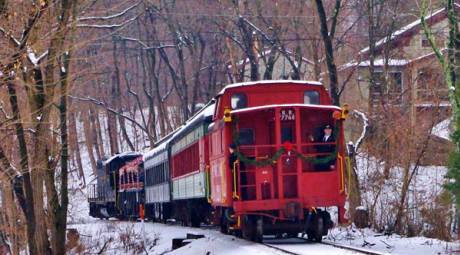 The Santa Claus Train features you-know-who; evening departures invite passengers in pajamas to listen to "Twas the Night Before Christmas." Welcoming Santa to Pottstown is an all-day affair. Mr. and Mrs. Claus host tea at The Sitter's Clubhouse. The Christmassy couple then moves to Santa's home in Smith Family Plaza. 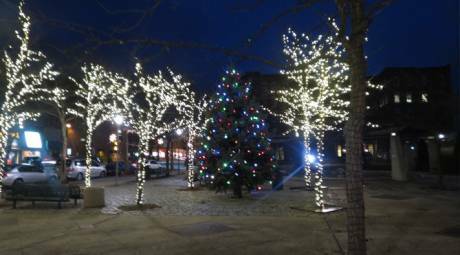 A tree lighting follows at 7 p.m., with a performance by a local barbershop quartet. These free sessions turn heated sugar and a dash of peppermint oil into the season's most recognized candy treat. The classic holiday film is transferred to a live-on-stage version, retaining all the catchy music. By the time the plot culminates in the singing the title song, the stage fills with the fluffy stuff. Two presentations of sounds of Christmas are on the calendar. The Annual Holiday Ball on December 4 spotlights the Sunnybrook Dance Band. The December 18 concert is by Twelve Twenty-Four, a holiday rock group in the style of Trans-Siberian Orchestra. Given a busy December, parents might appreciate a night out. With professional child-care provided by The Sitter's Club, adults can enjoy a free trolley for shopping, dining and maybe a sample of some of the "spirits" of the season. Stops include Sly Fox Brewery, Manatawny Still Works and Smith Family Plaza. 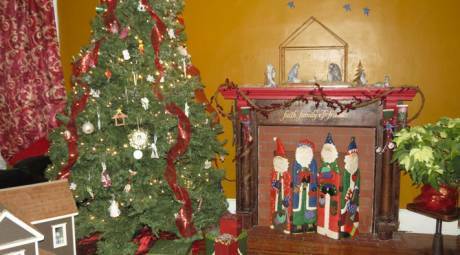 For 30 years, visitors have come to Pottstown to see its beautiful Victorian homes, decked out in their holiday finest for the annual Historic House Tour. 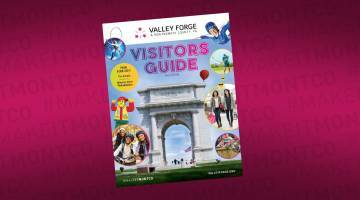 The family-friendly event includes craft-making for kids and a trolley to carry guests between tour stops.